It’s all fun and games until you have to buy a gift for someone. Sure, we’re confident in many areas of our lives, but gift giving stumps us. We have solved your holiday gift-giving dilemma. Whether it’s a gift for a co-worker, boss or a hard-to-please family member, our feature story by Marianne Weaver offers you different shopping options. “Holiday Shopping” profiles local businesses who carry specialty gift items for the people in your life who are also on this year’s holiday gift list. When the weather turns colder, many minds think of snow and ice. If you are fascinated with ice, indulge yourself in this month’s On a High Note by Amy Taylor. “Frozen Creativity: Commercial Ice Sculptures for Order”profiles ice sculptors and the skill set they have to deliver their art. 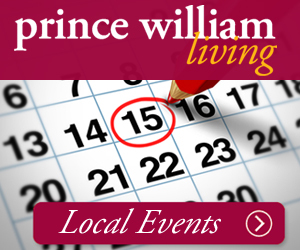 From all of us at Prince William Living, we wish you and yours a fantastic, safe holiday season and a Happy New Year.